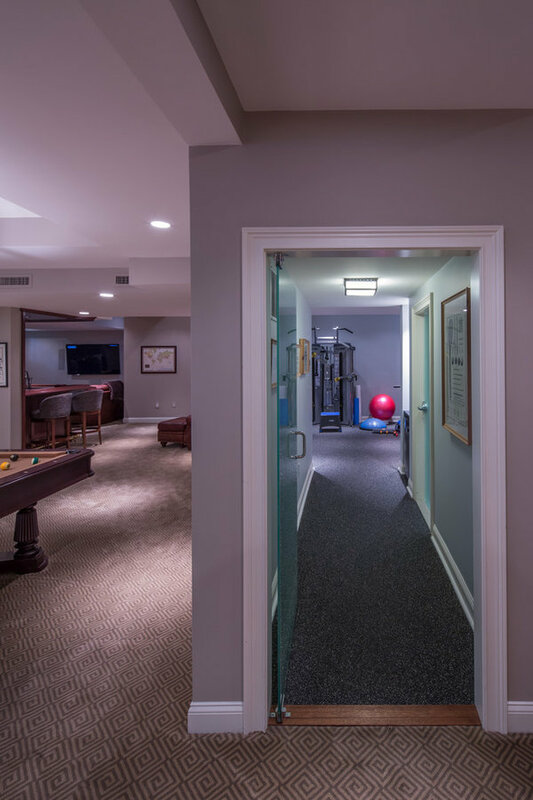 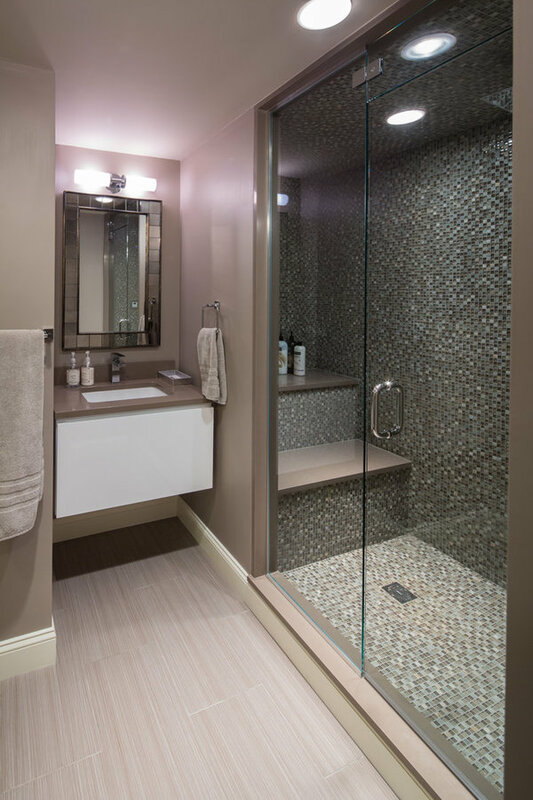 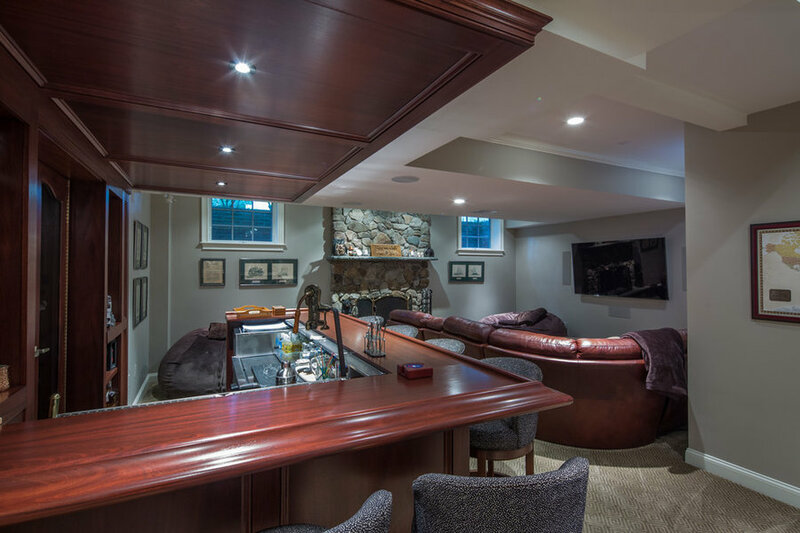 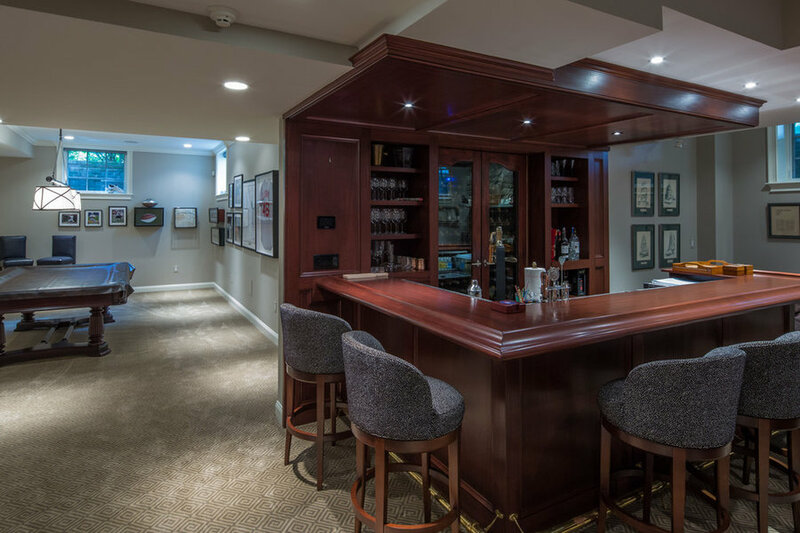 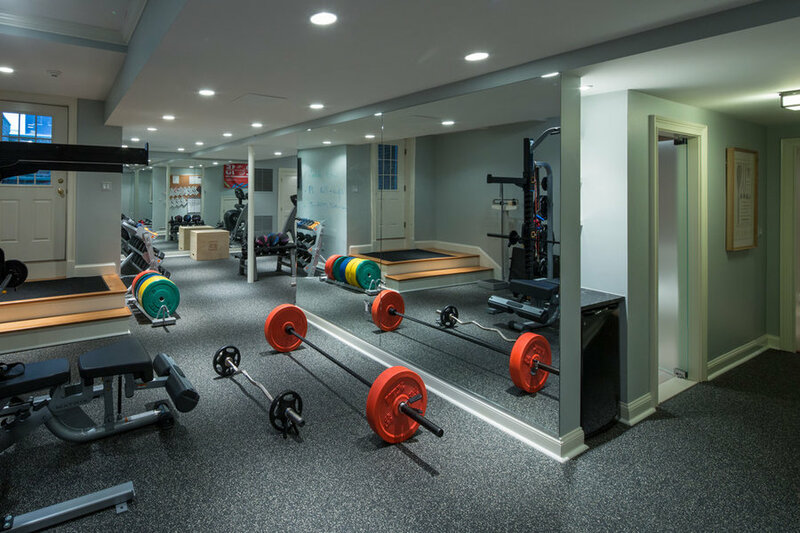 This project took an un-used basement and created a few new areas for this family to enjoy. 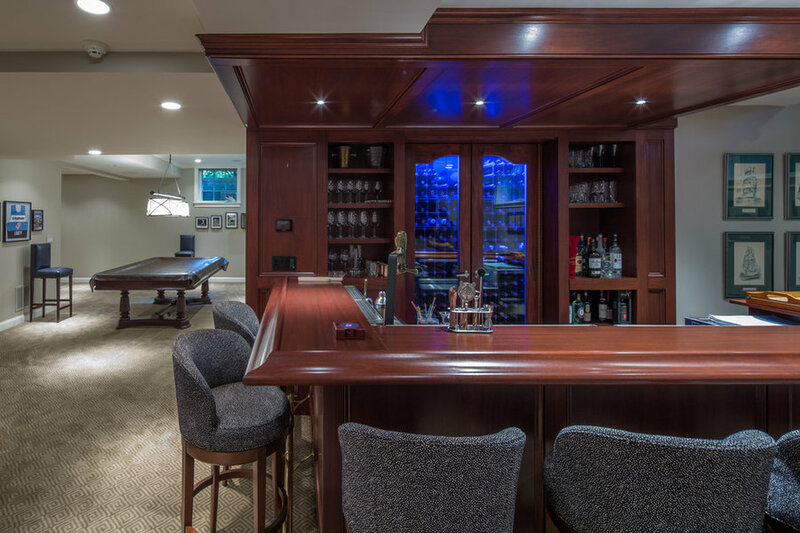 There is the custom mahogany bar and wine storage area. 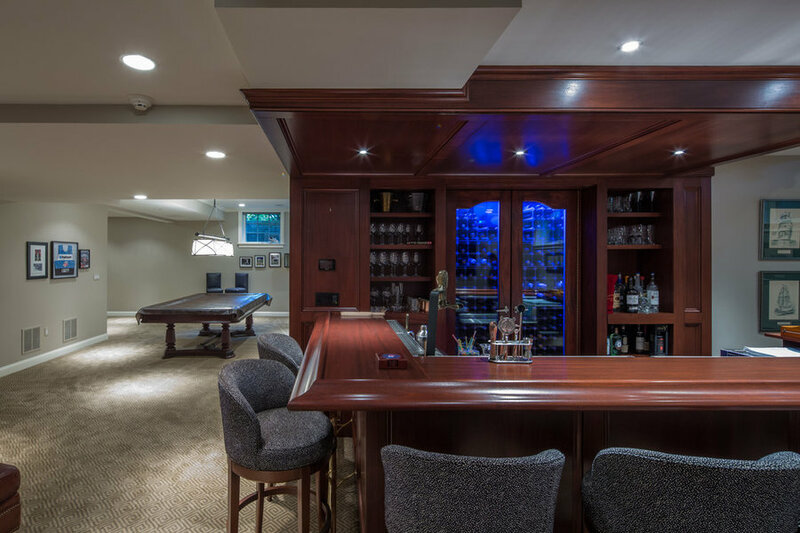 A billiards area behind the bar, and television area in front. 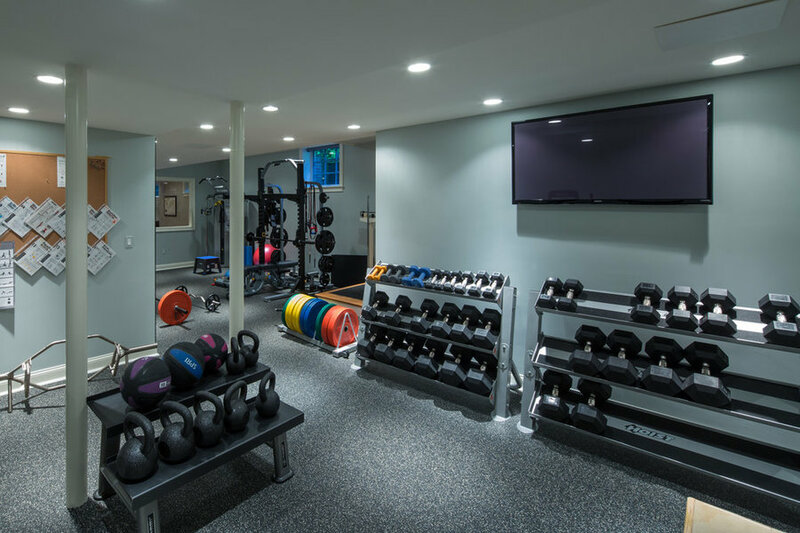 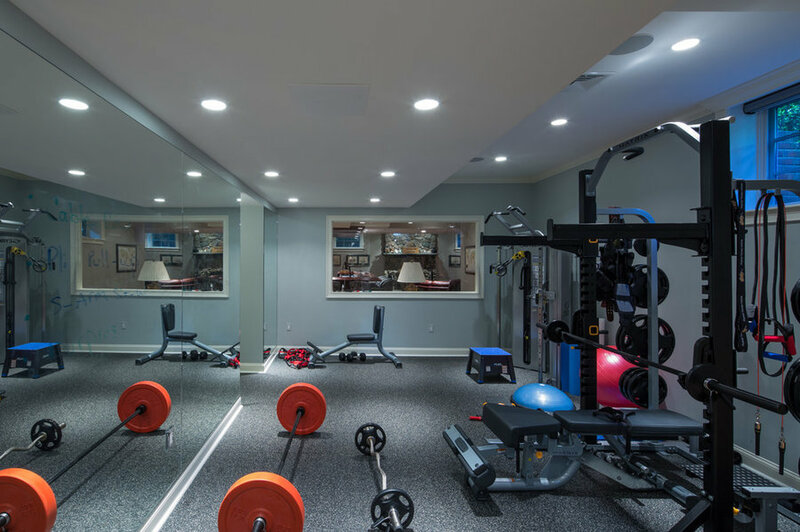 The new gym area and new full bath as well make this a very comfortable space.